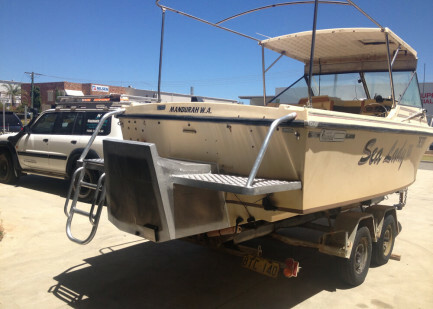 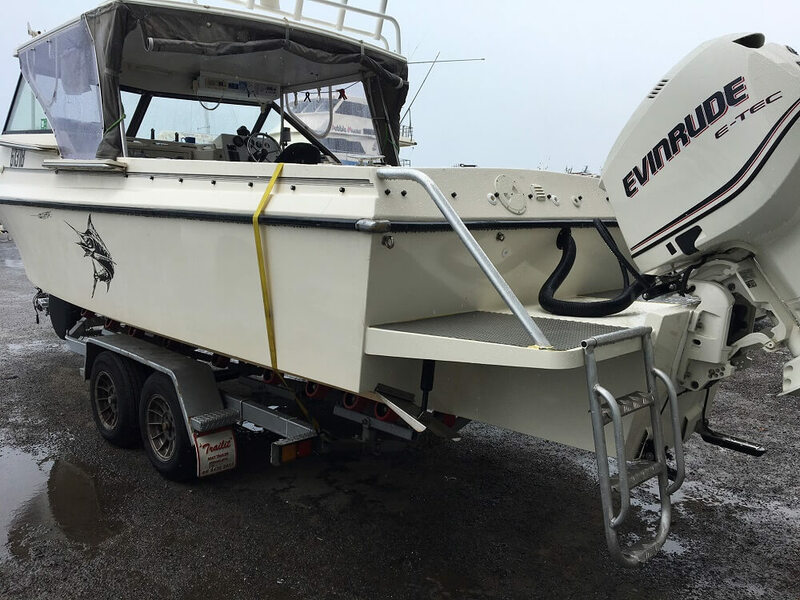 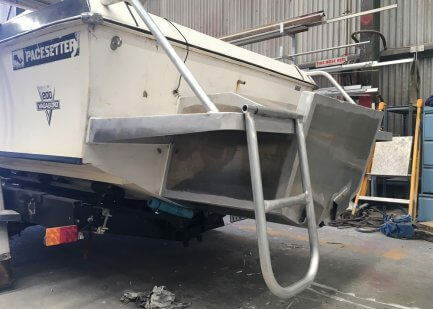 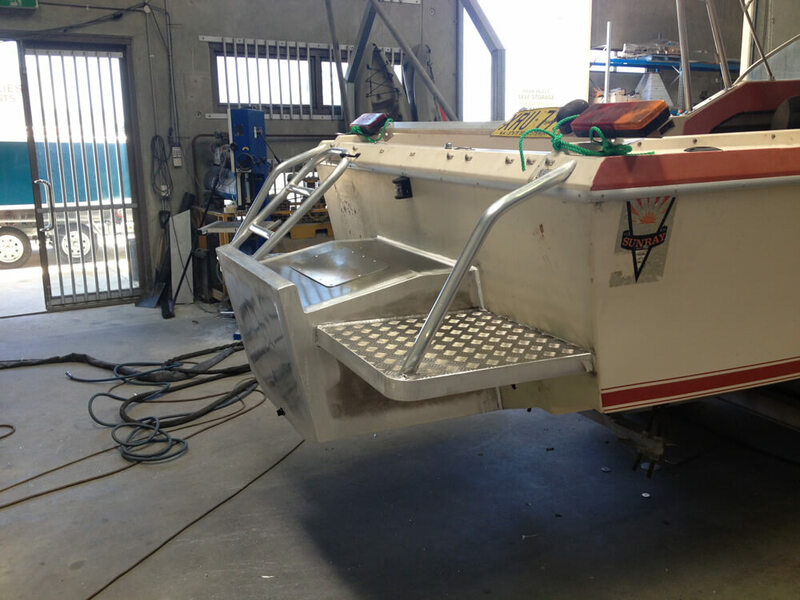 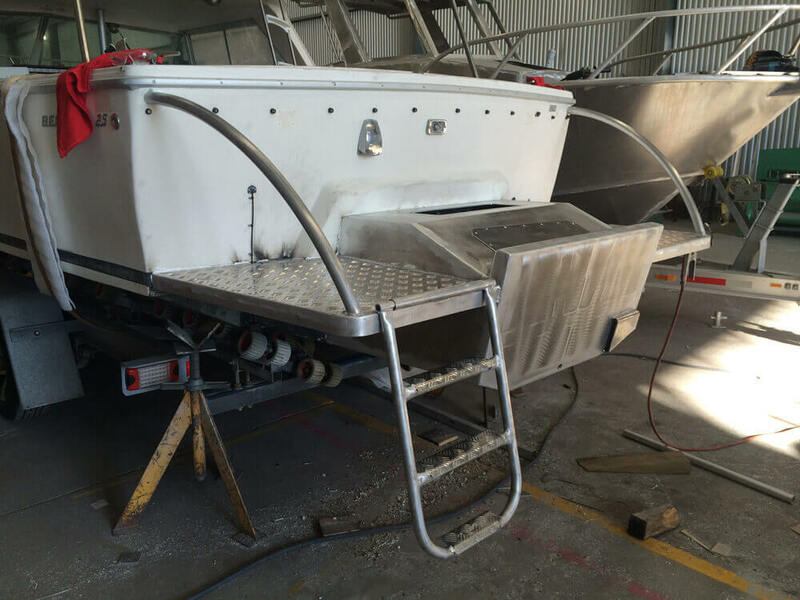 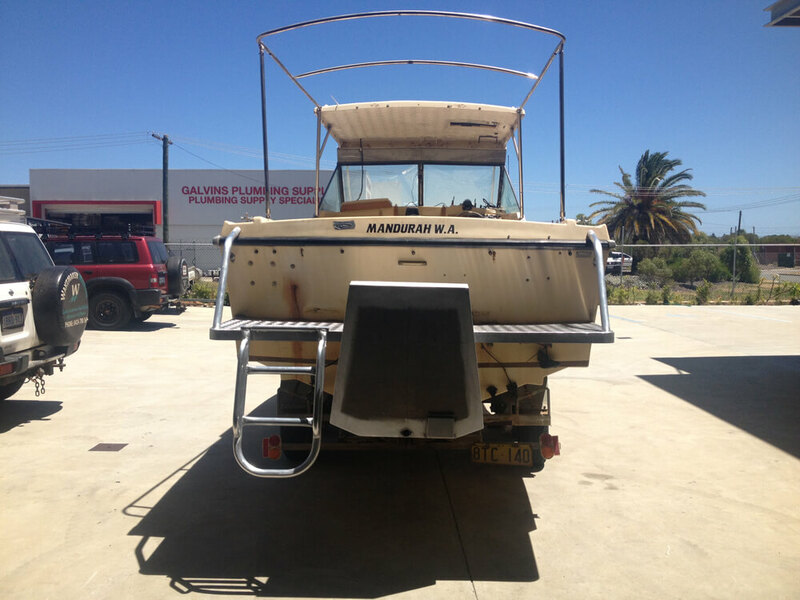 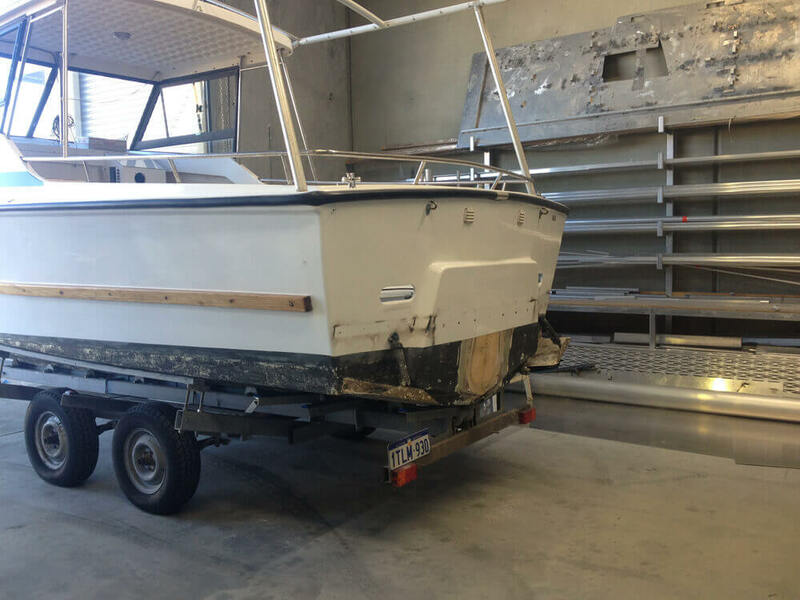 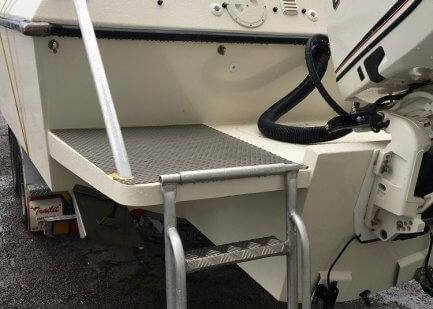 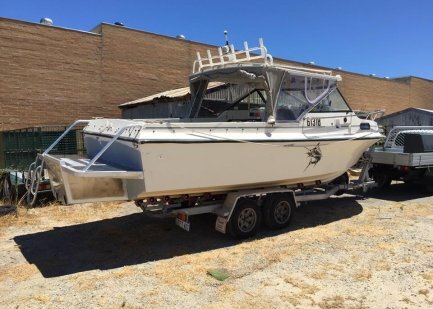 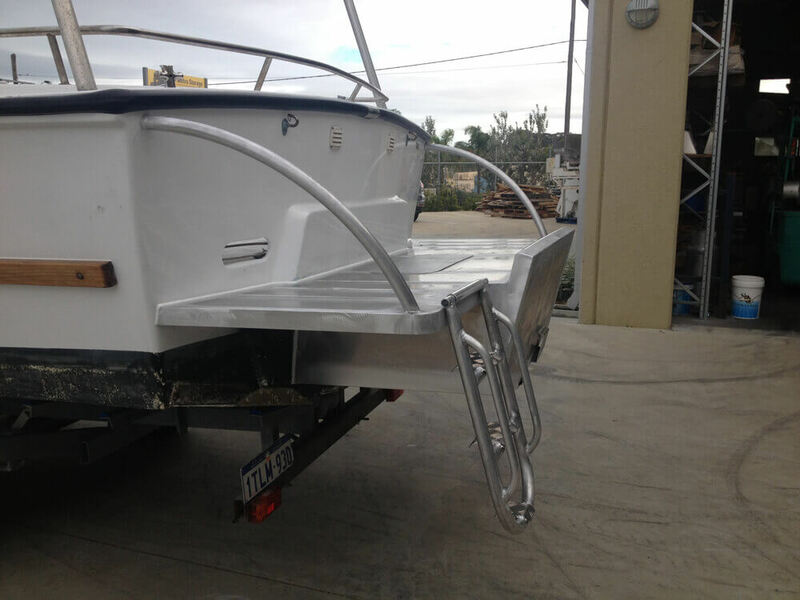 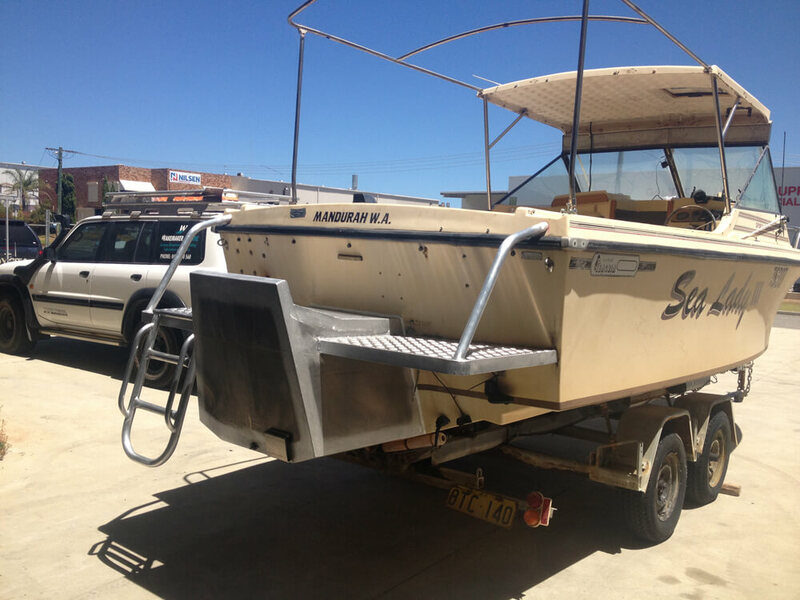 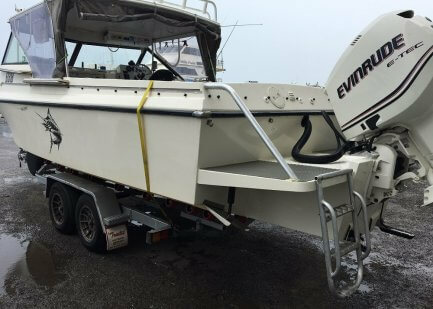 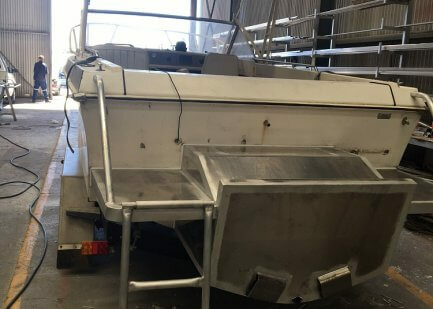 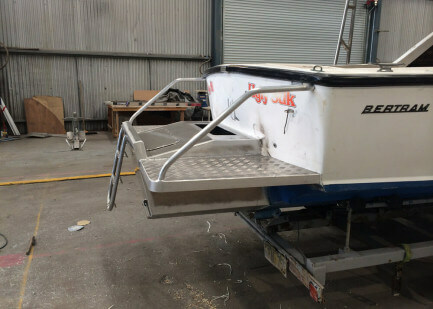 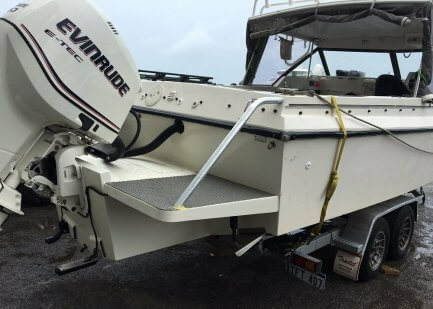 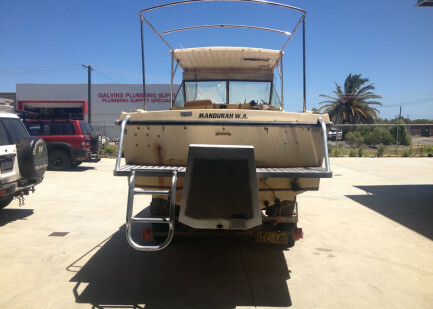 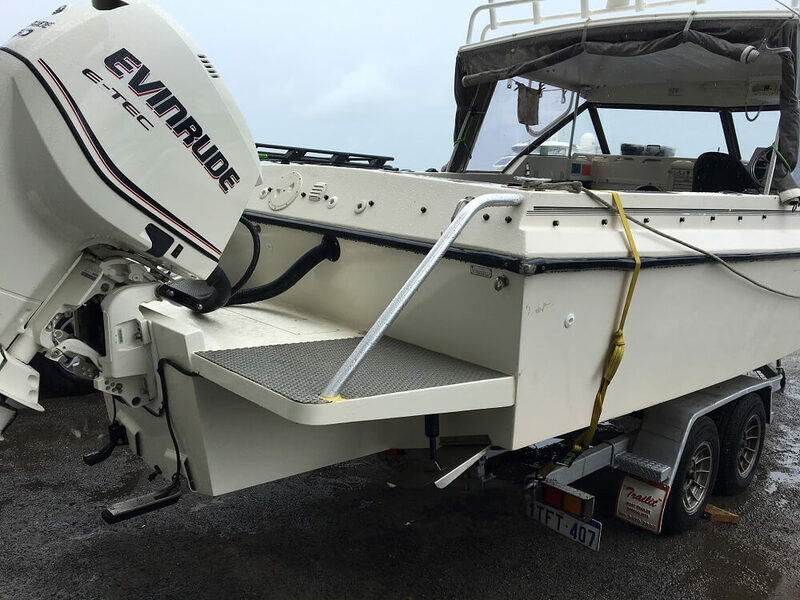 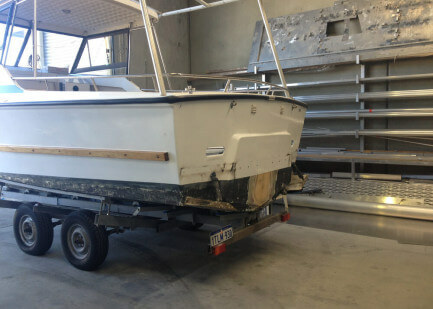 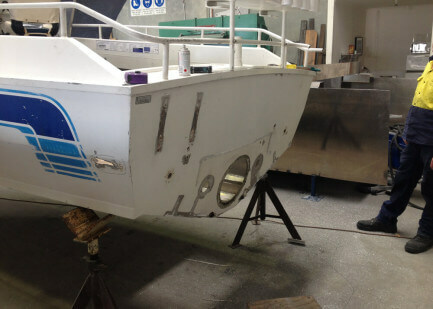 Converting your boat from a stern drive to an outboard can make it more user-friendly, cheaper to service and the addition of swim platforms make it a lot easier to board. 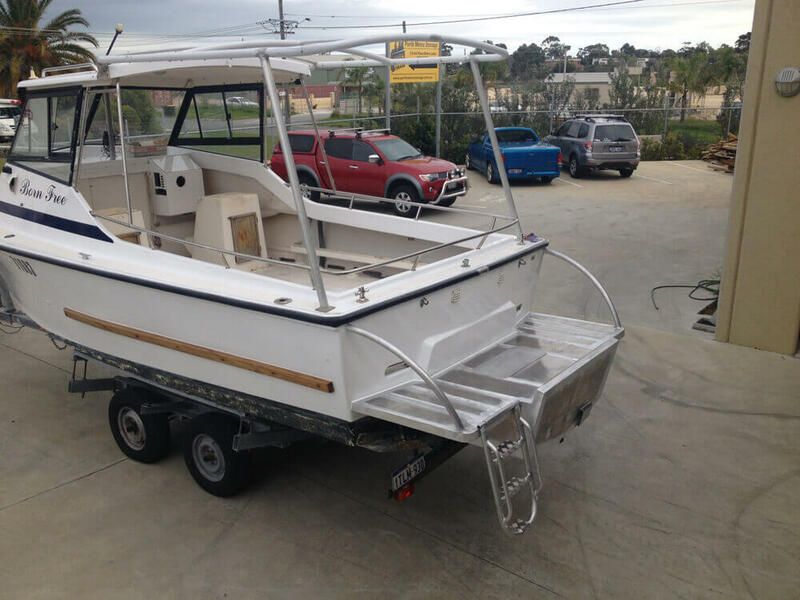 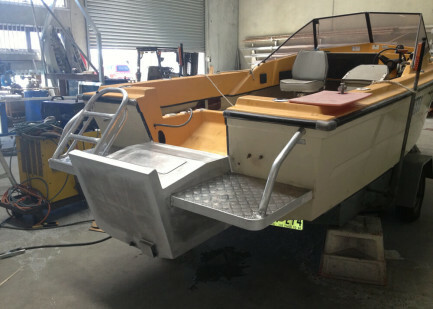 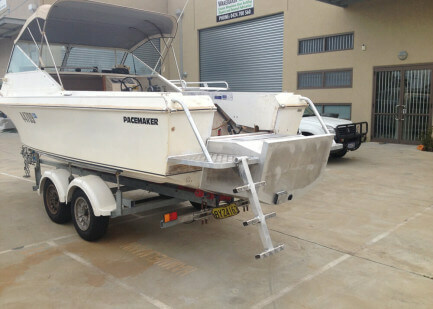 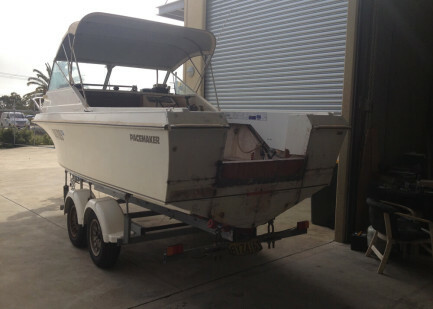 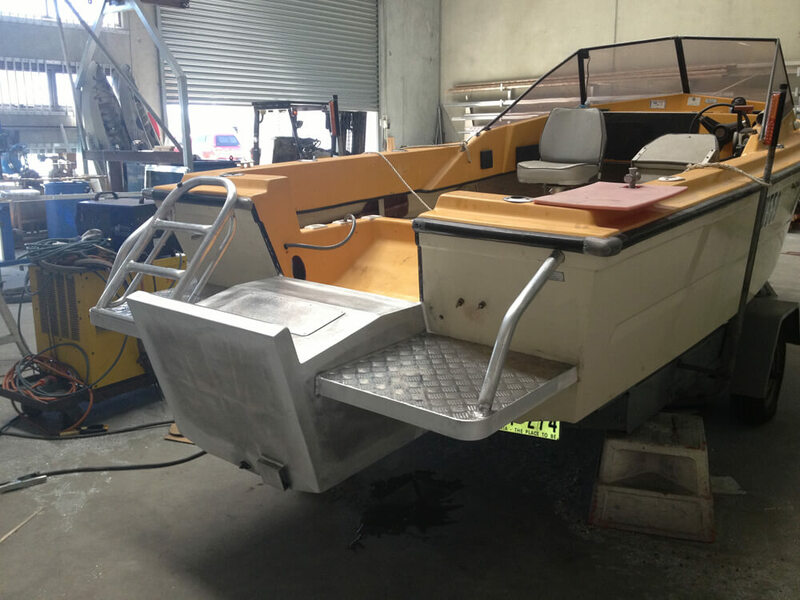 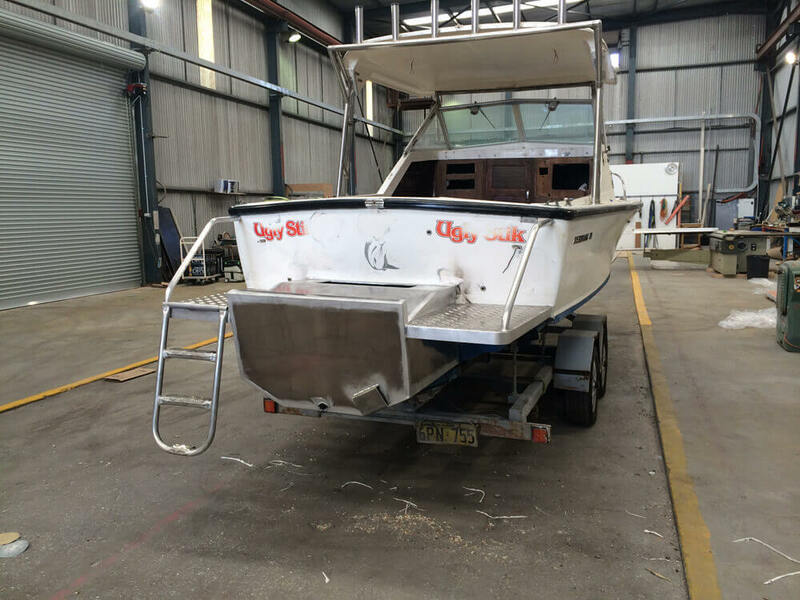 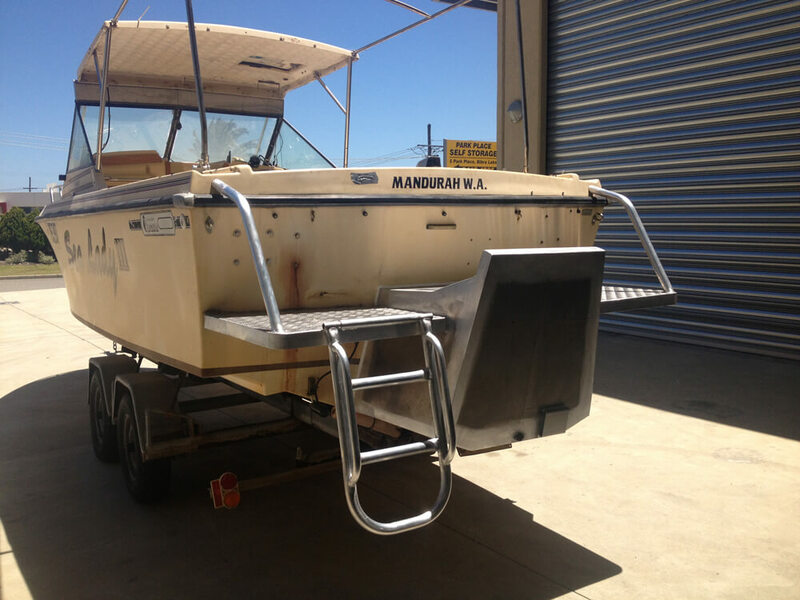 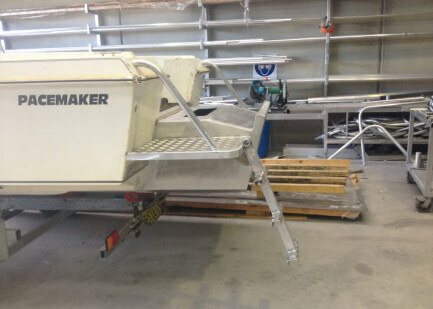 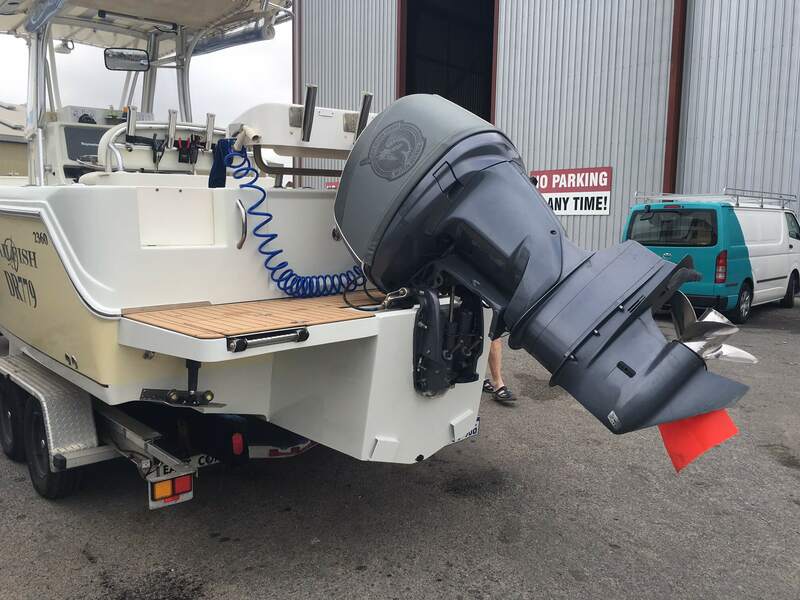 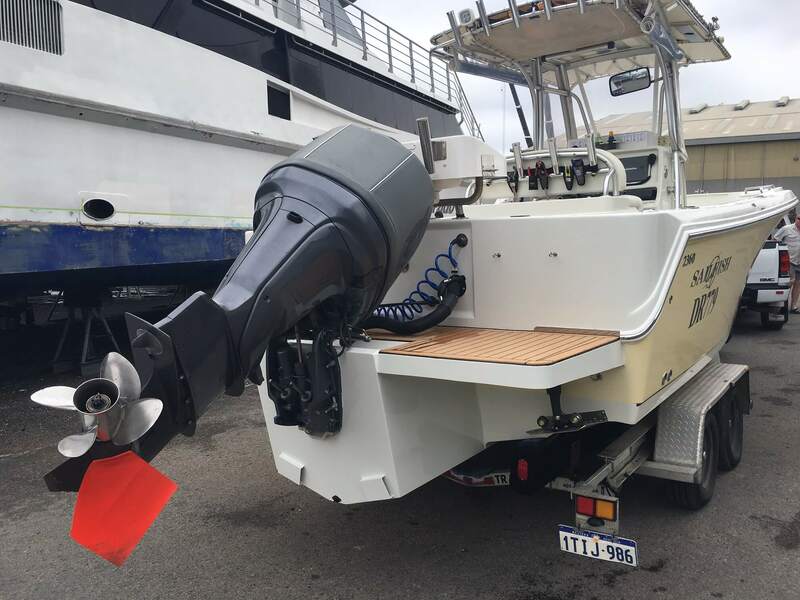 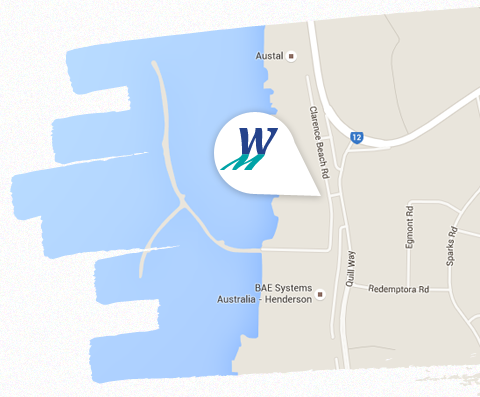 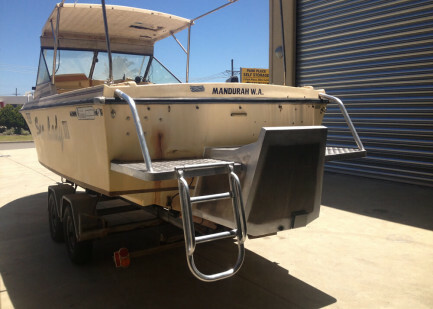 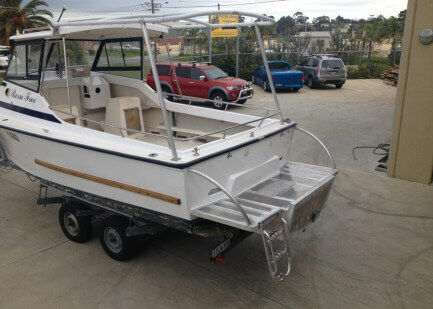 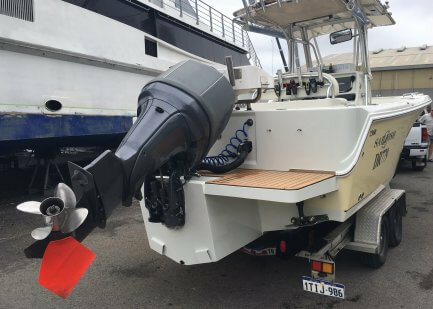 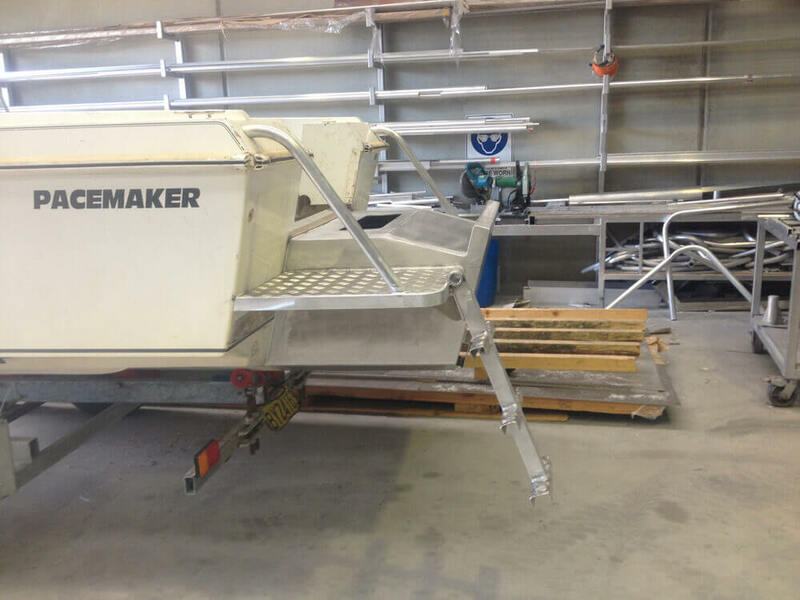 Wakemaker Marine is one of the few boat builders that make pods and transom extensions with the strength to accommodate your choice of motor. 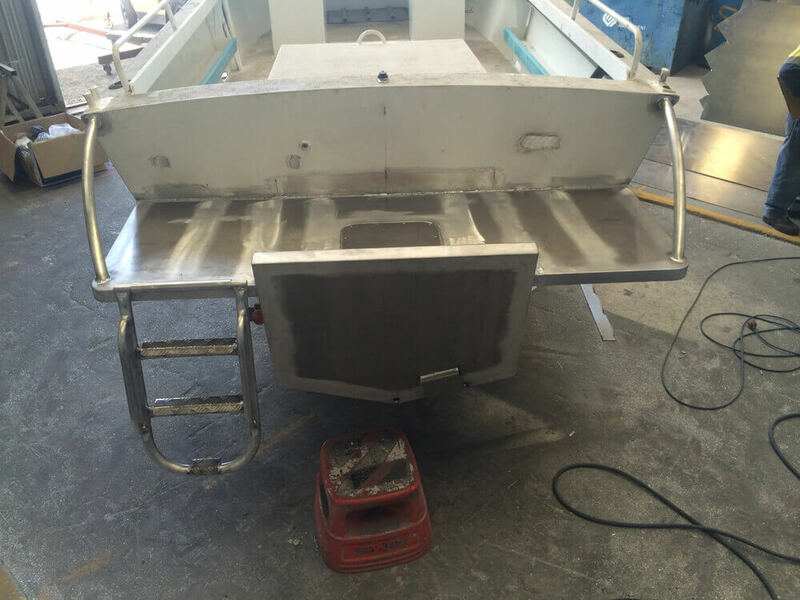 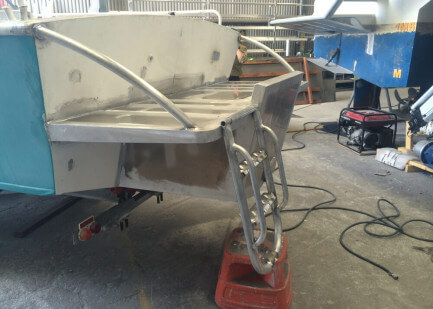 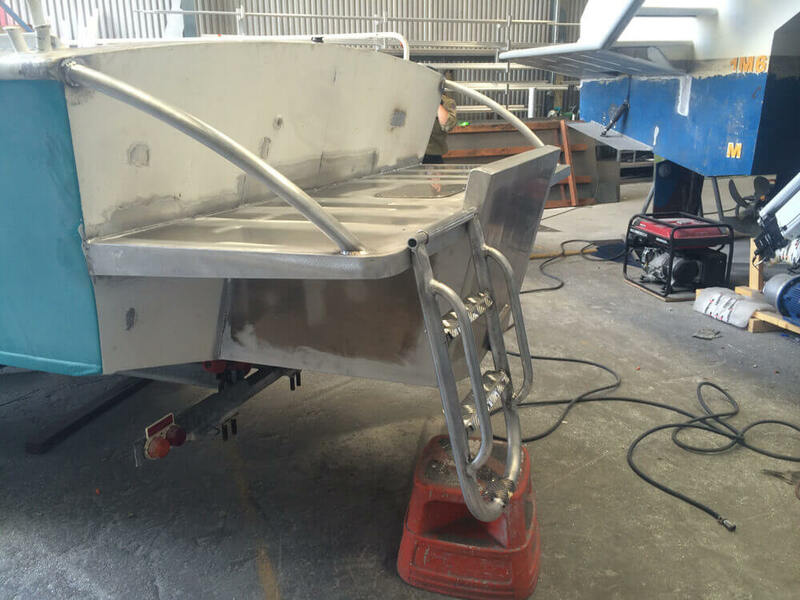 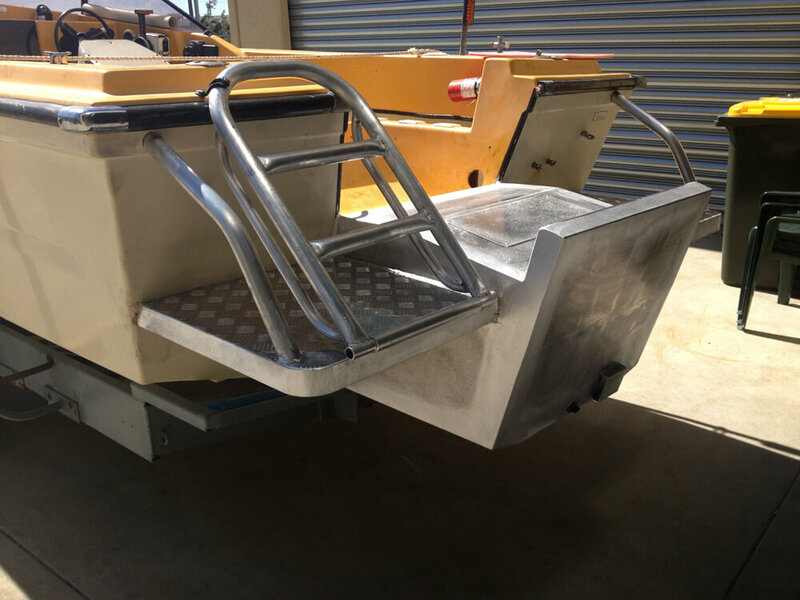 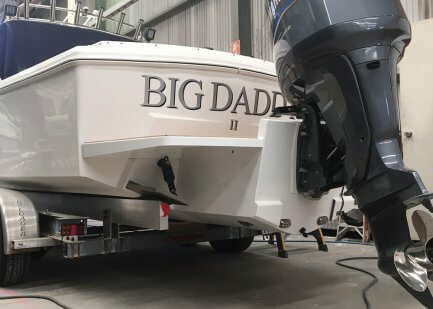 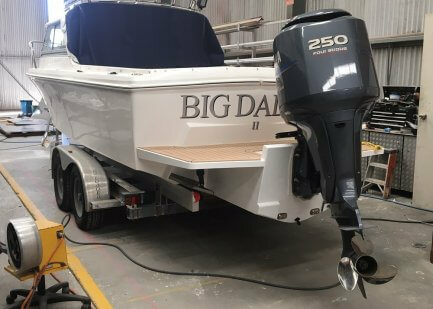 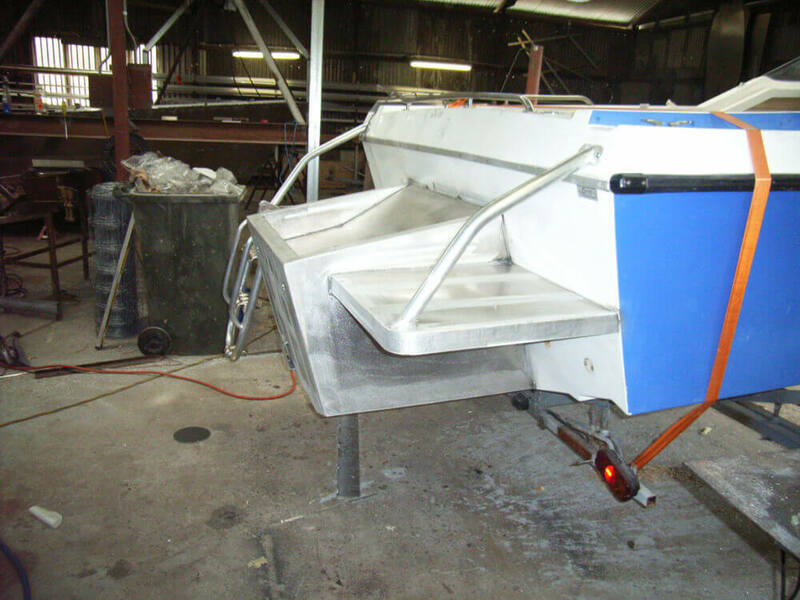 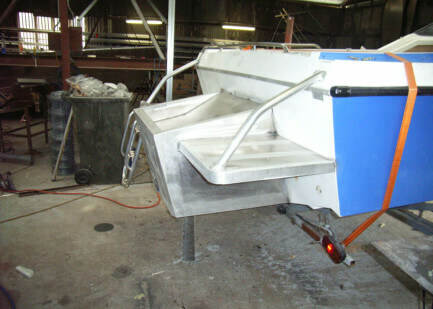 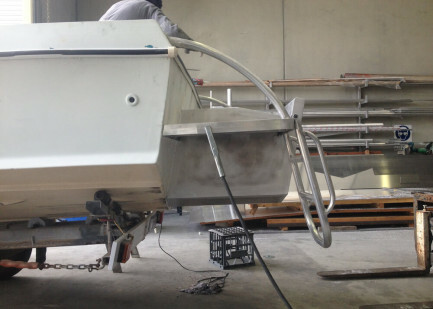 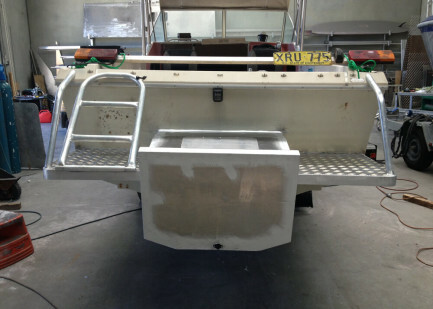 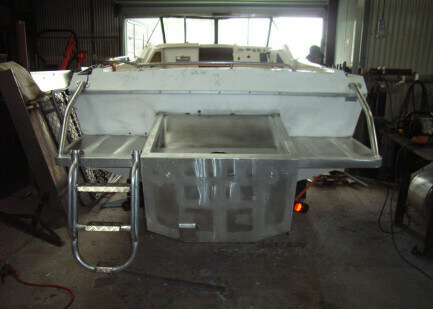 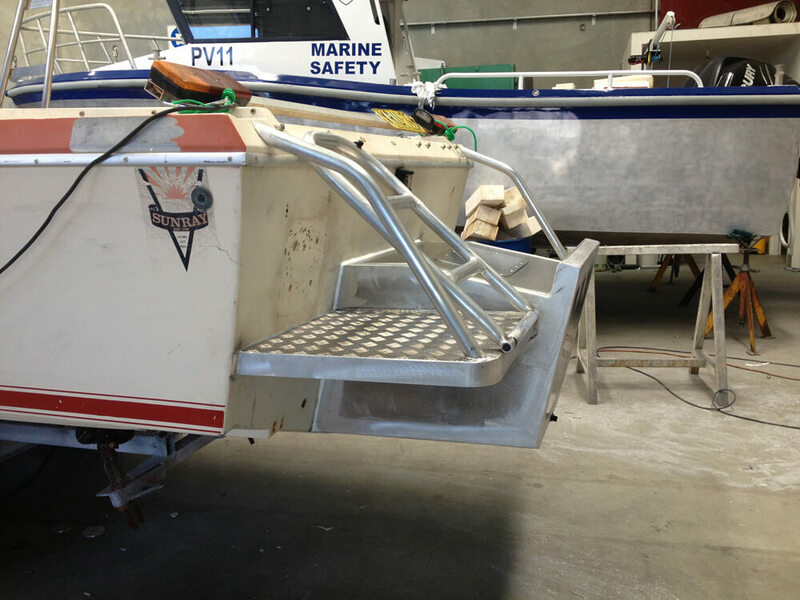 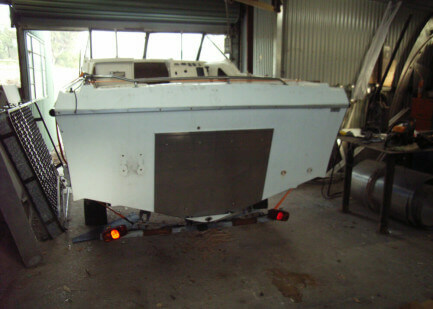 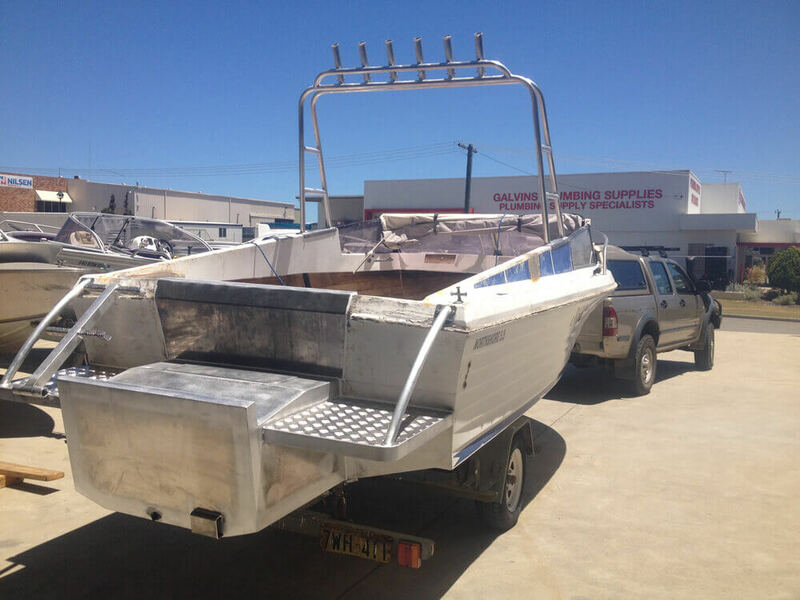 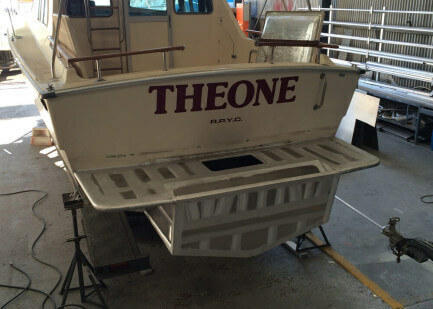 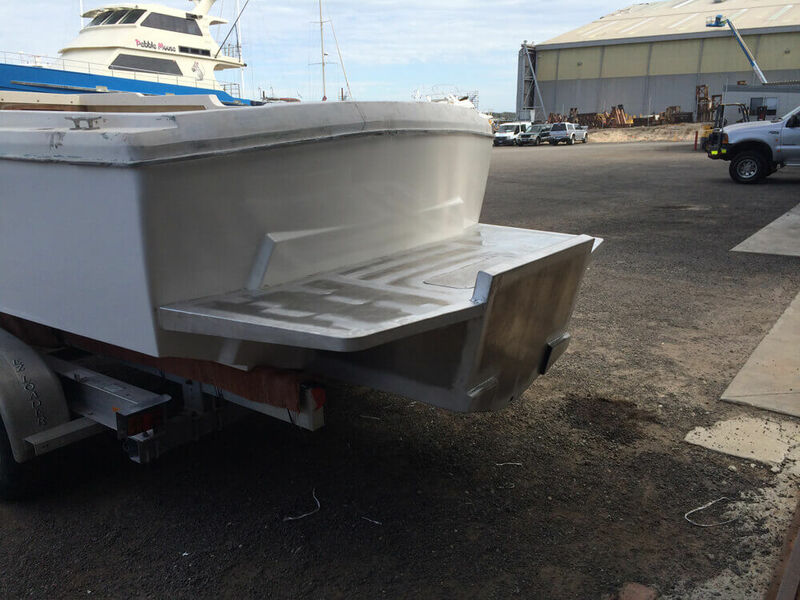 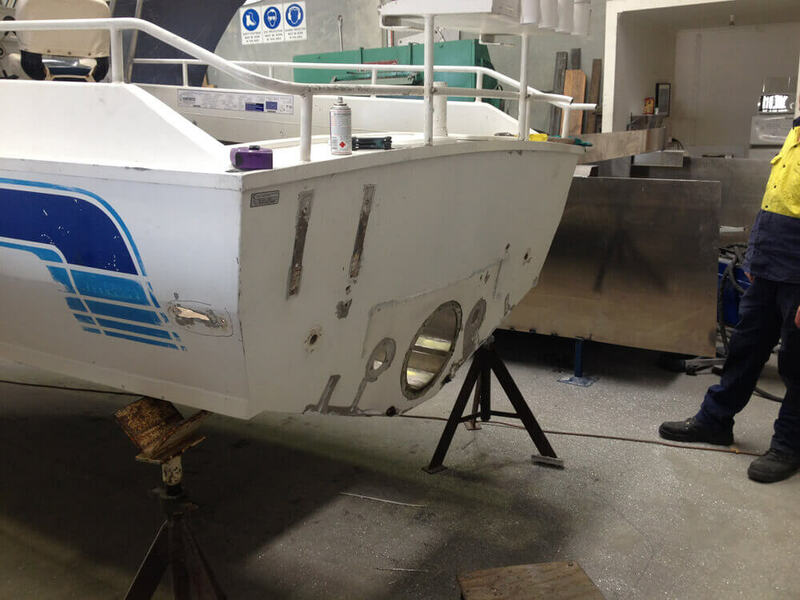 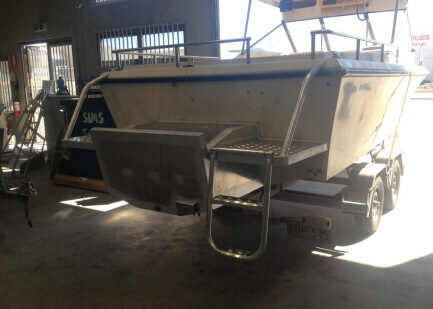 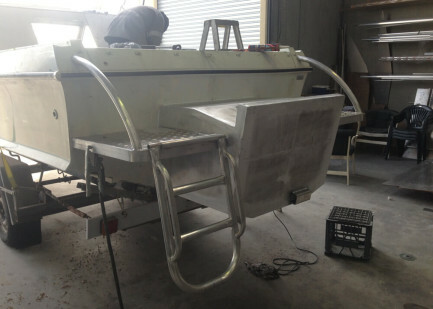 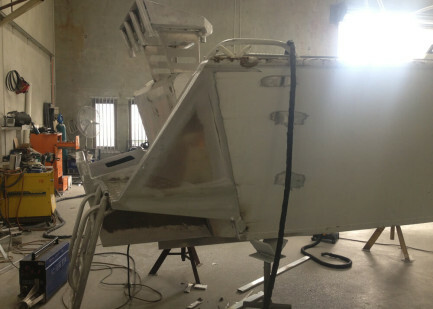 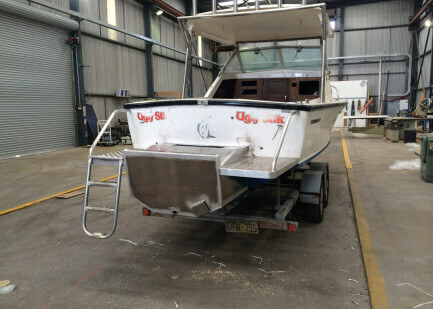 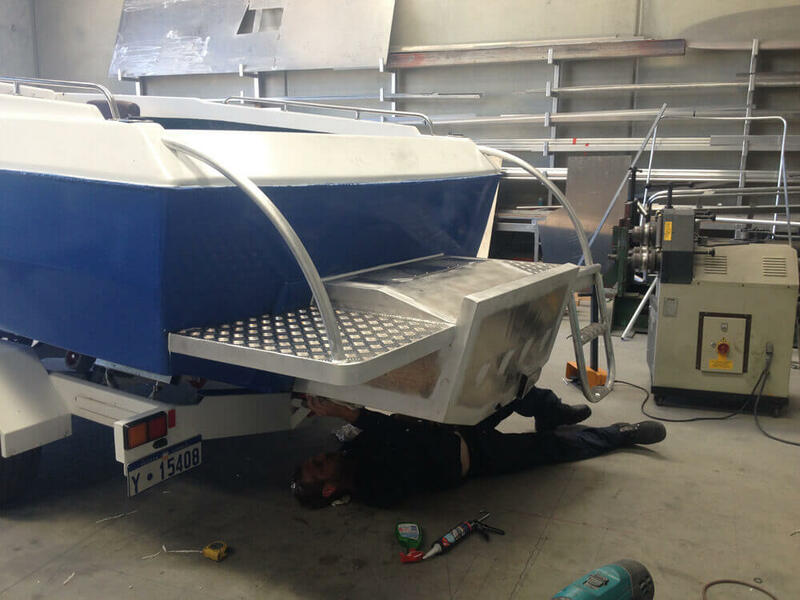 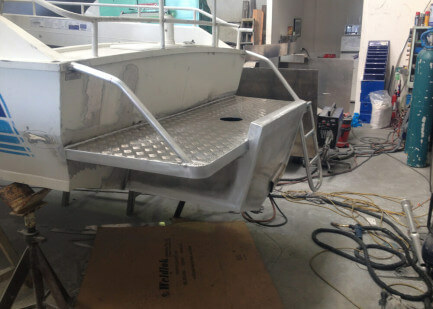 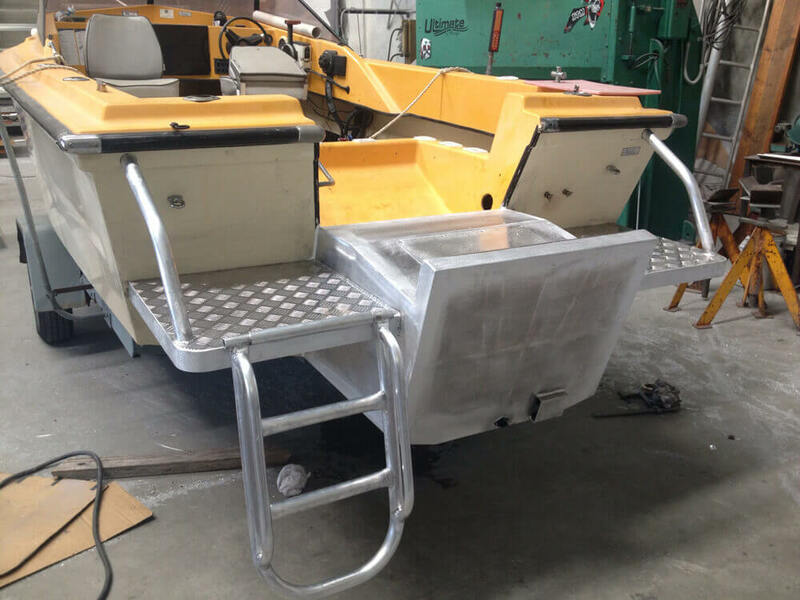 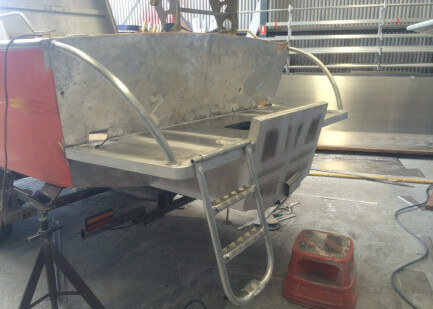 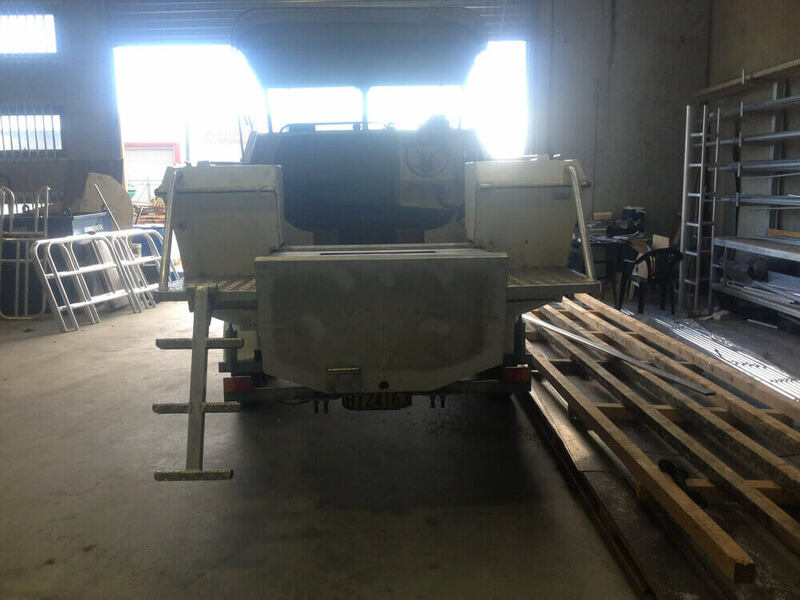 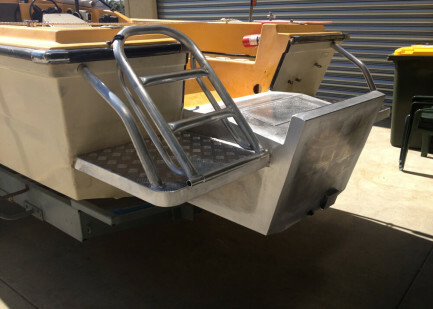 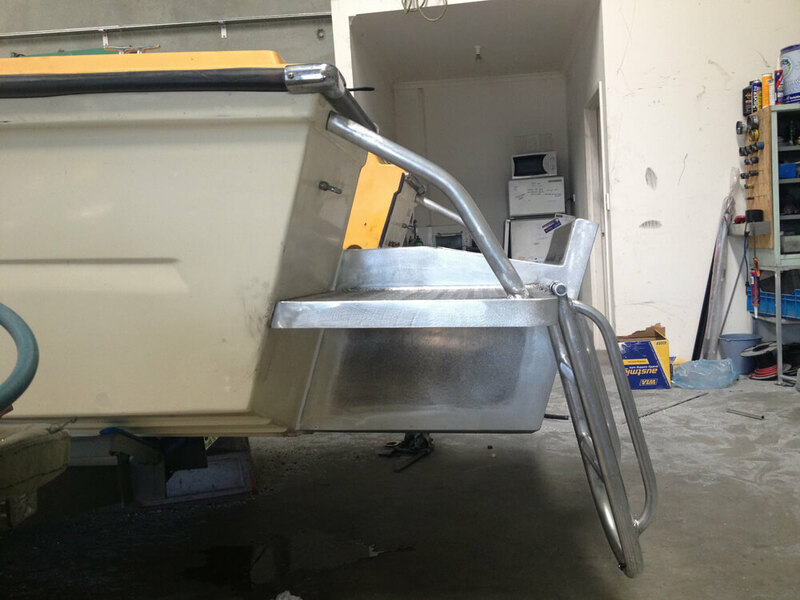 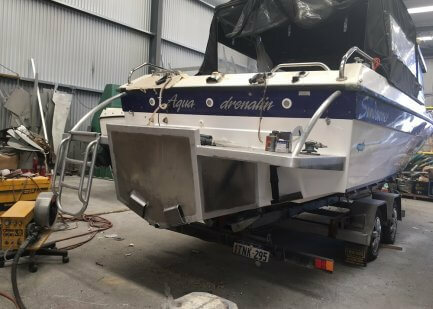 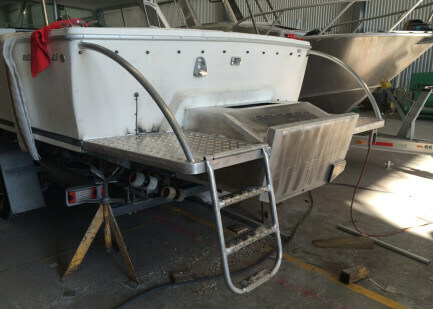 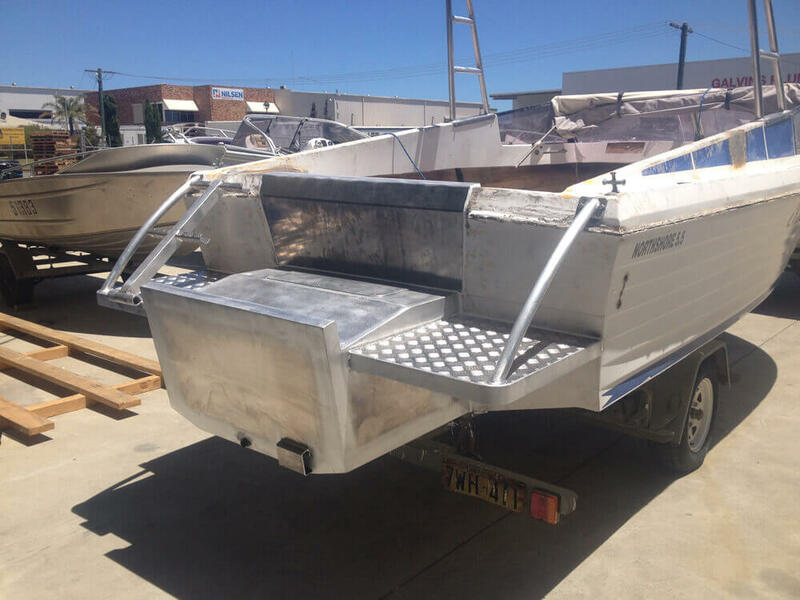 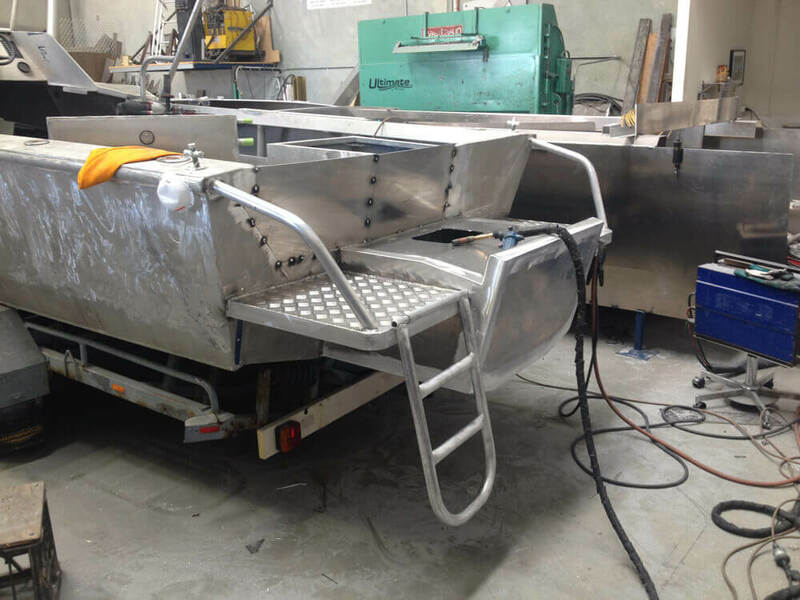 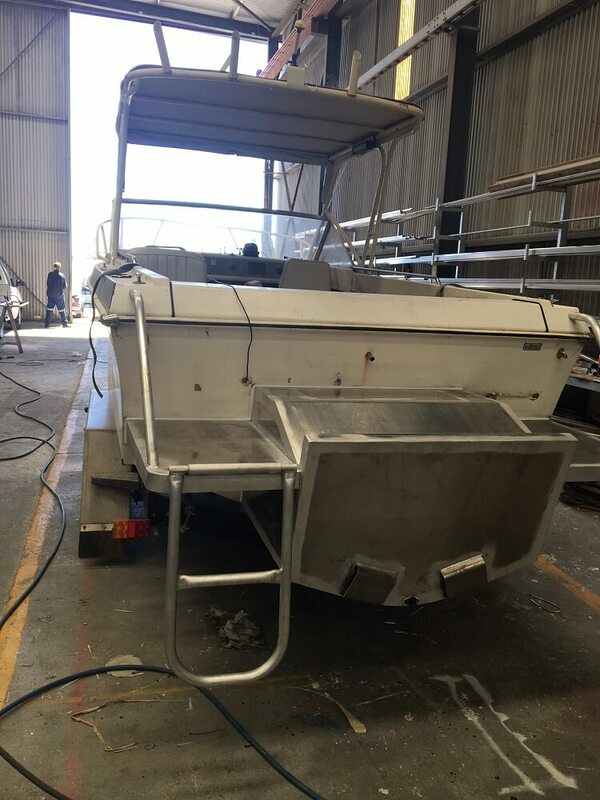 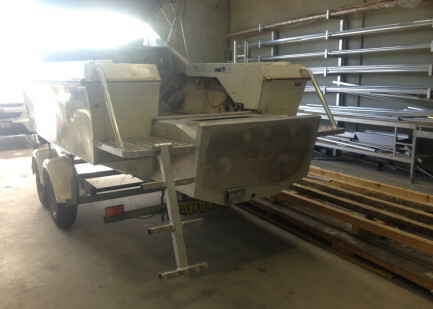 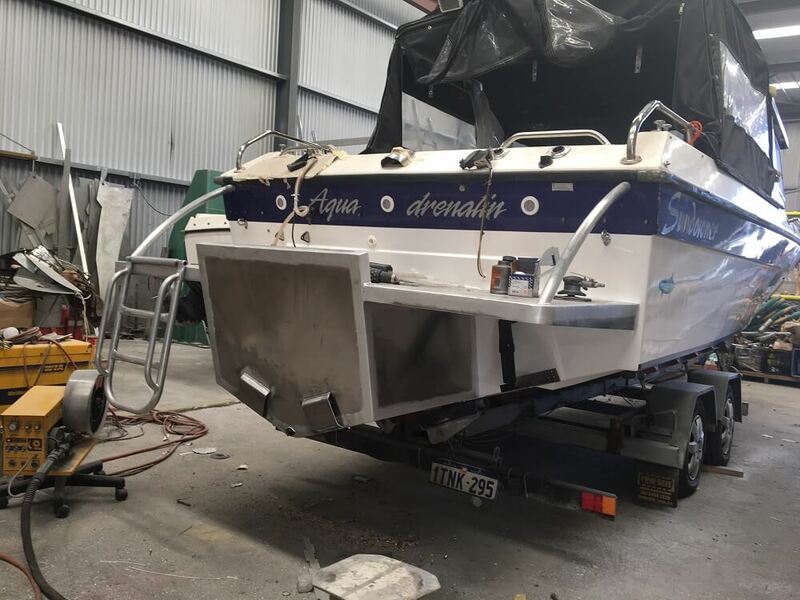 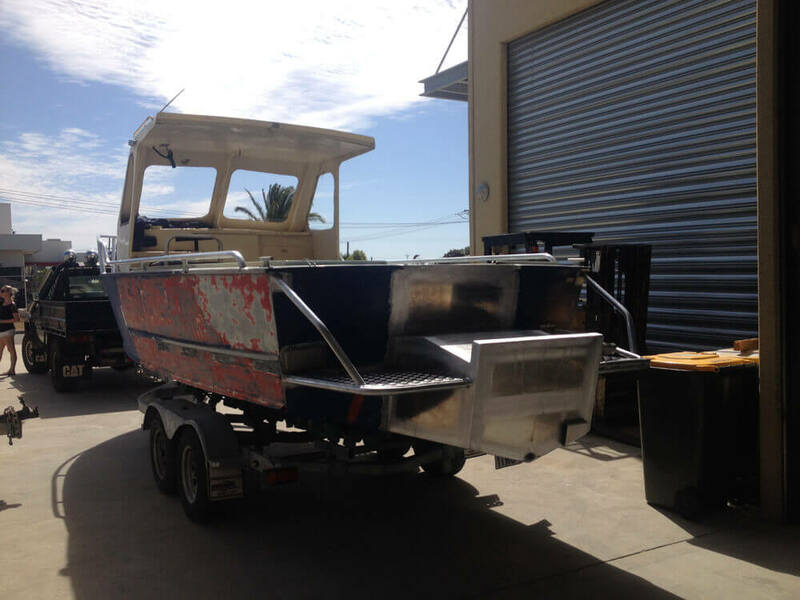 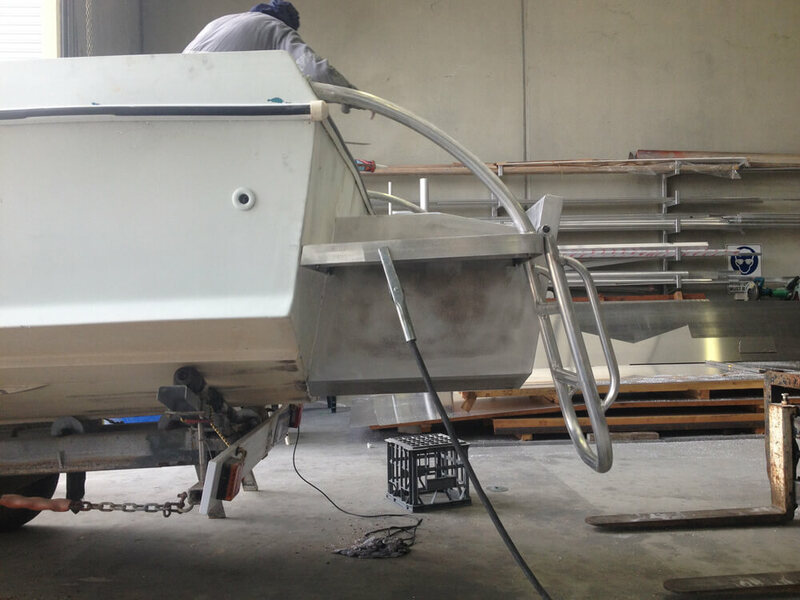 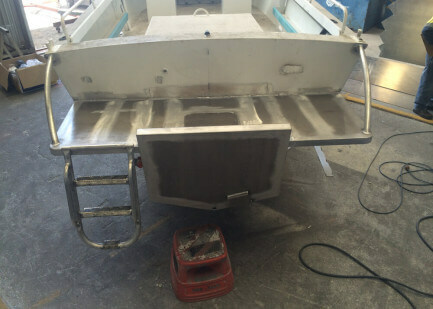 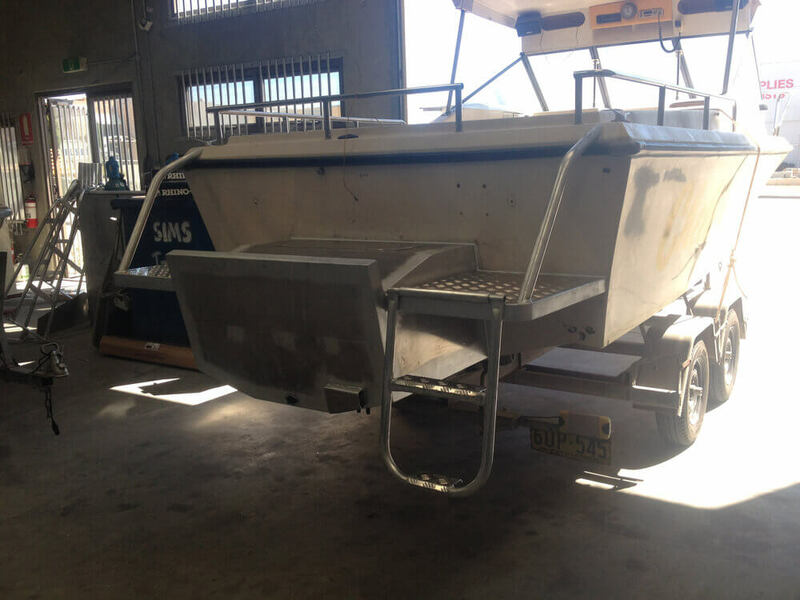 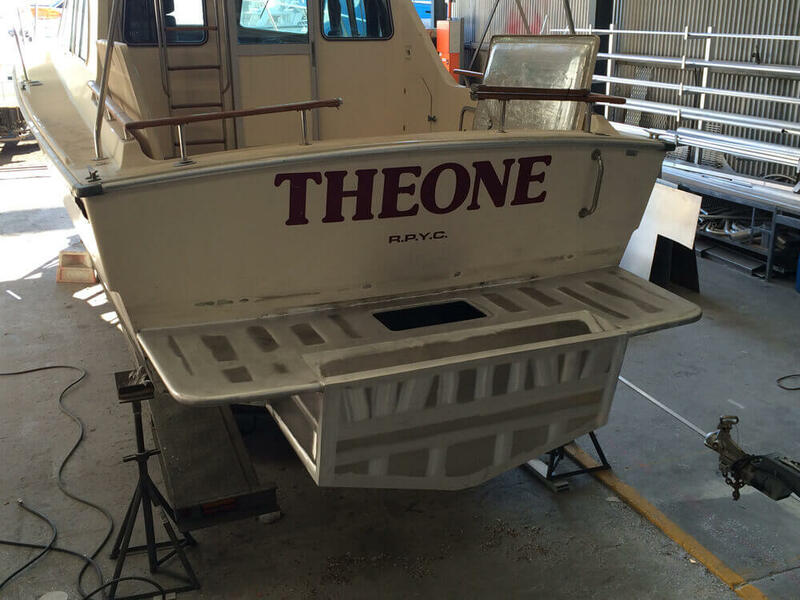 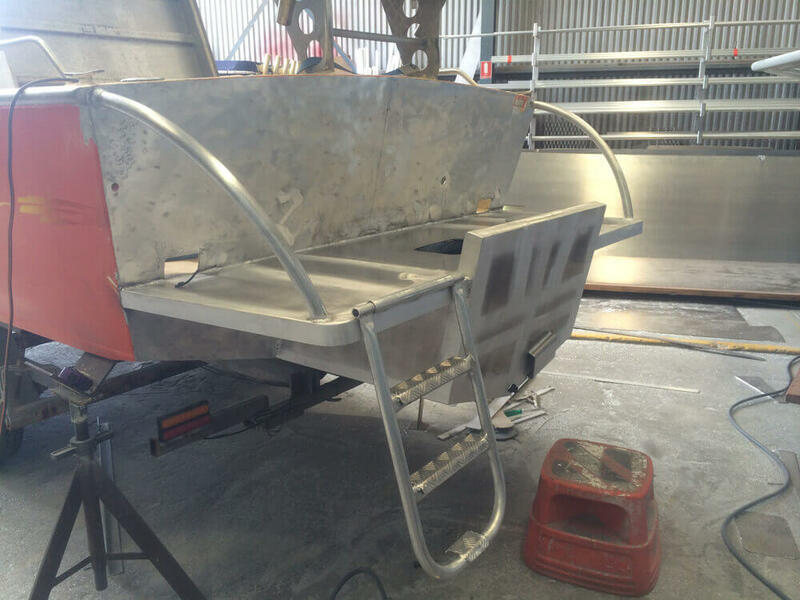 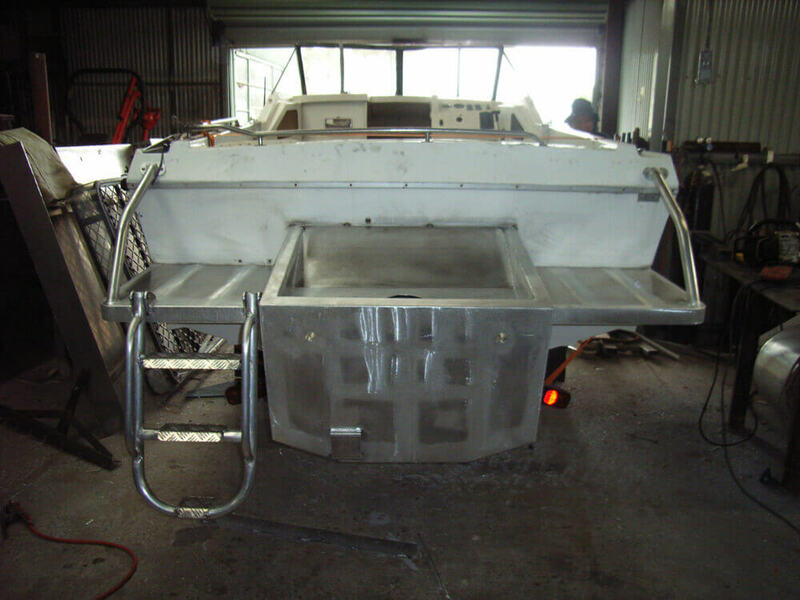 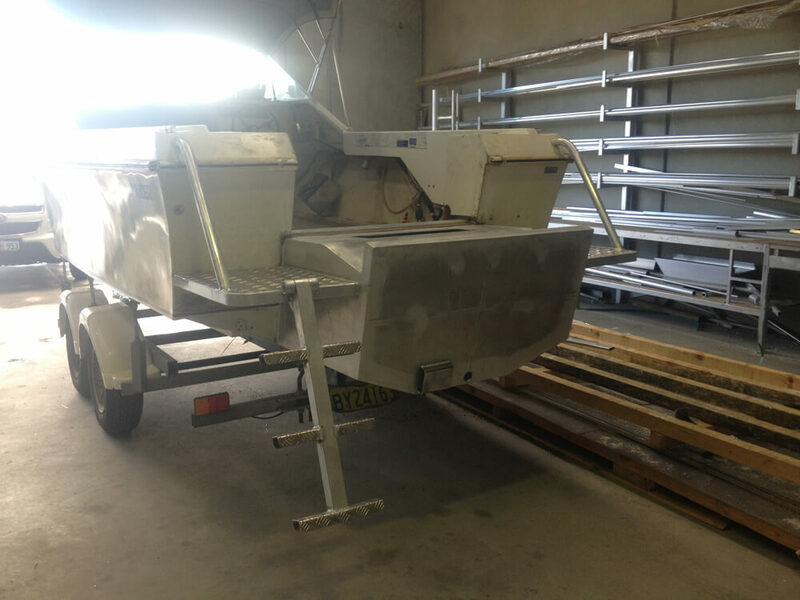 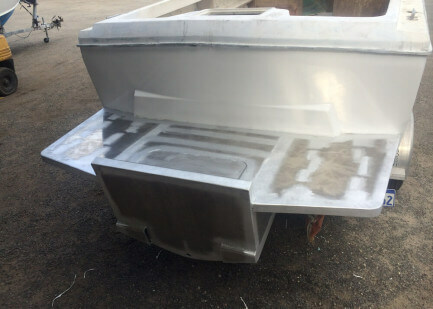 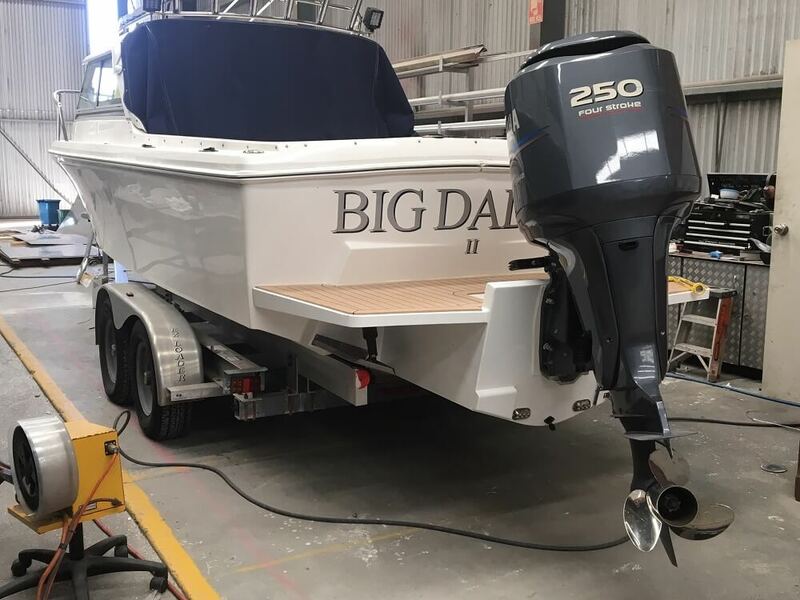 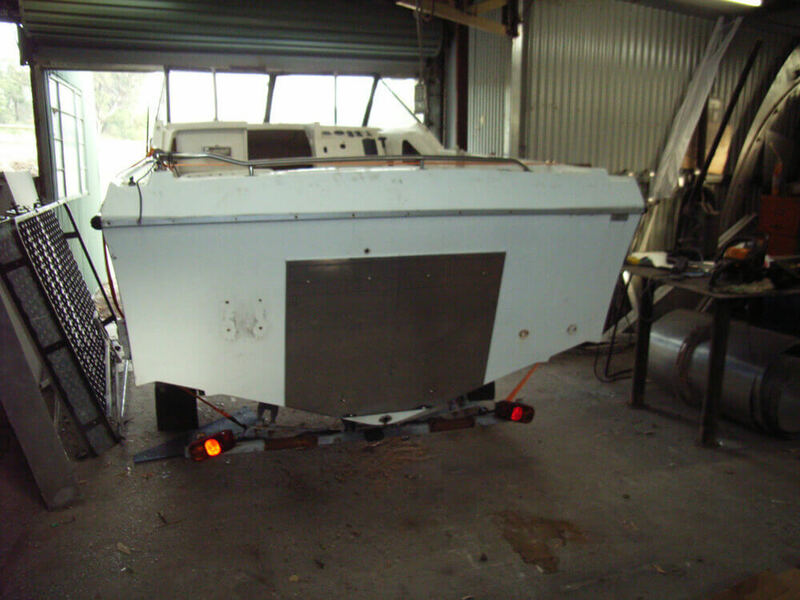 When fabricating your pod we will tie in with the existing lines of your boat so it doesn’t look out of place and the pod becomes a natural extension of your boat. 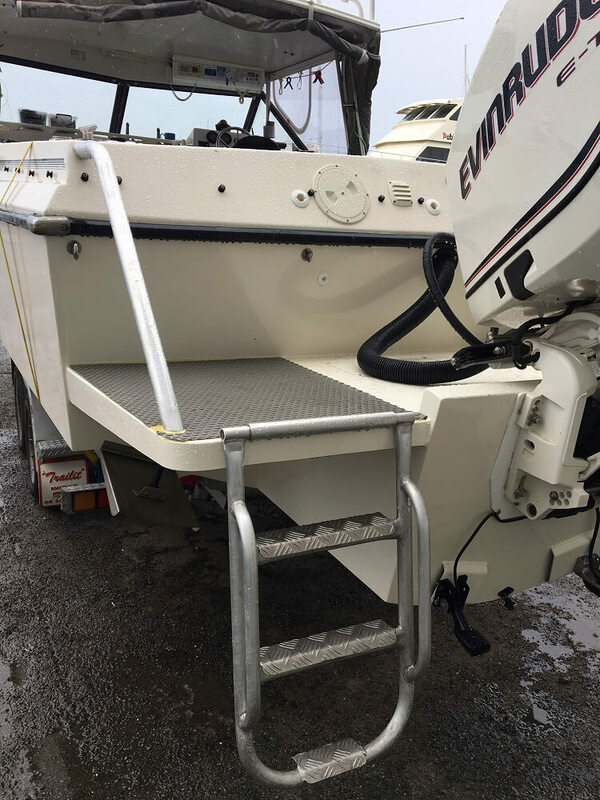 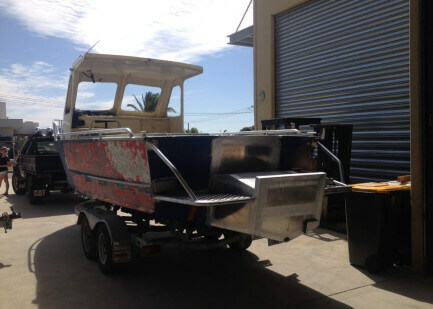 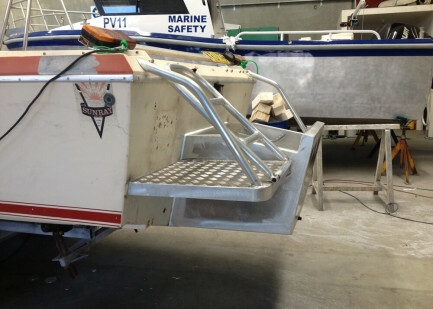 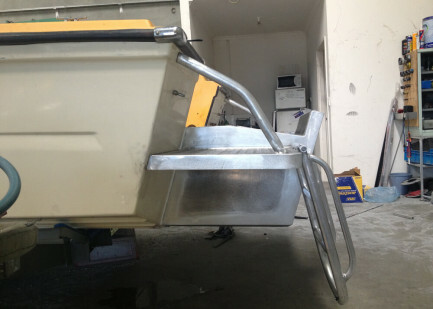 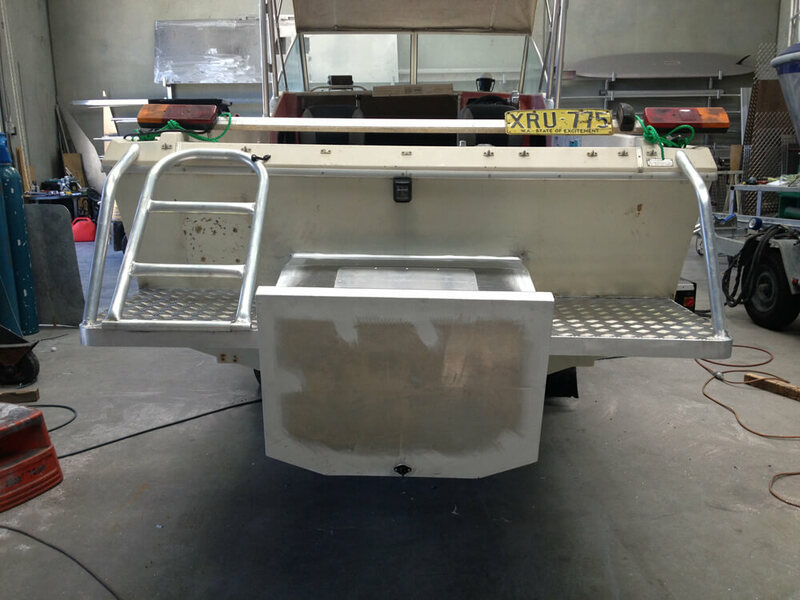 All of our pods come with a heavy duty folding dive ladder and grab rails included in the price.